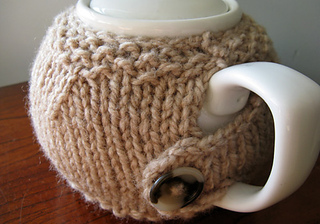 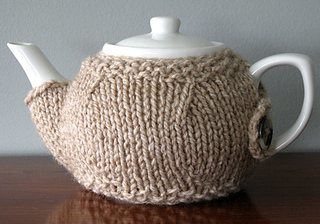 Note: Some knitters of this project are finding their teapot is a little taller or wider than mine. 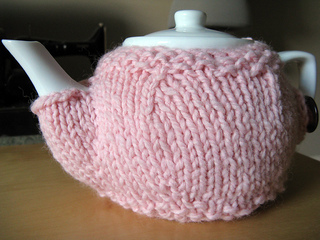 Just add a row or more of seed stitch to the top and bottom of the project to extend it to fit. 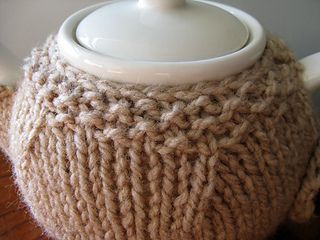 Be sure to measure your pot first. 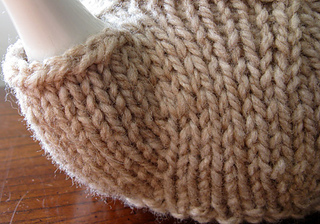 If your pot is wider, you can pick up and knit seed stitch on one side until it is the right width. 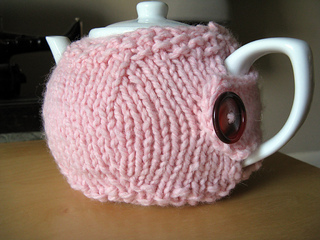 The original shape of this cosy is versatile enough to accommodate these extensions.